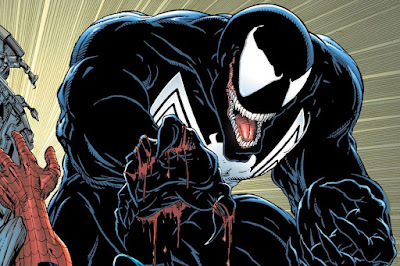 Just last week, we reported that Sony's Spider-Man spin-offs, then just Venom and Silver and Black, were confirmed to be part of the Marvel Cinematic Universe. And that's exactly what Spider-Man: Homecoming and former Sony head Amy Pascal said. She said they existed in the same world as Tom Holland's Spider-Man, which means they are, in turn, part of the MCU. You can read our full initial article here. And, after Pascal's comments went viral, there were several days of complete silence, allowing the Internet and the fans to go wild with speculation. I thought the pairing made sense. How do you have a thriving cinematic universe of Spider-Man villains without Spider-Man? The question was raised once again when Mysterio and Kraven the Hunter were said to also be in the works, but my concern what not necessarily in regards to the MCU. It was more that spinning off those particular villains themselves. You can read all about that here. However, a week and a half since Pascal first made the comments, both Marvel President Kevin Feige and Spider-Man himself Tom Holland have shot down Pascal's comments. "Right now, Spidey is in the MCU and it's just Spidey. 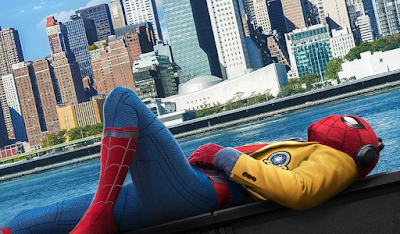 [Captain America:] Civil War, [Spider-Man:] Homecoming, we've already shot a lot of Tom Holland's scenes in the upcoming Avengers films, and we're just starting to solidify our plans for Homecoming 2-- we won't call it that, whatever it is-- which is exciting because it'll be the first MCU movie after the untitled Avengers  in 2019. It'll be the way Civil War informed everything in Homecoming, those movies will launch him off into a very new cinematic universe at that point. Those five movies are [what] we're focusing on." "[Venom being in the MCU] is something that is far beyond my control. As I know now, I am in the MCU. I am the MCU Spider-Man. I exist in the world of the Avengers. The Venom movie takes place in a different universe, so I have no plans to show up in those movies any time soon. But you know, things change! We'll have to wait and see." I have so many questions about this. What the f*ck was Amy Pascal talking about last week, then? She said: "They will all take place in the world we're now creating for Peter Parker. There'll be adjuncts to it, there may be different locations, but they will all still be in the same world. And they will be connected to each other as well." That is pretty clearly saying that Venom, Silver and Black, and the other Sony spin-offs exist in the same world as the Tom Holland Spider-Man, and thus exist in the Marvel Cinematic Universe. But now Feige and Holland are saying definitively that that isn't the case. Pascal has also commented again, trying to walk back on what she had previously said. But there's no walking back on that. She clearly said that they were apart of the MCU, and now she's trying to saying that they're not. My big question is, if they were so definitively not apart of the MCU, then why did it take them a week and a half to retract it? Feige strikes me as the kind of guy who would put out this Internet fire as soon as possible. If not saying something during the joint interview itself, then he would have put up a statement the next morning. So why did it take him a week and a half? That part is really confusing me about this whole story. Now, I have a few theories as to why Pascal said this, why they retracted it, and everything going on behind the scenes. One idea is that maybe Pascal was pushing to have her spin-offs in the MCU, but Feige wasn't interested. And, in a sort of power-play, Pascal announced to the world that they were connected, knowing that Feige didn't want it. That would explain Feige's face during the interview. If you're not sure what I'm talking about, see this. That's one idea. Another is that perhaps Feige agreed to let Venom and Silver and Black be in the MCU, but only after they came out. We've known since the beginning that Sony was going for a hard R rating with Venom, and that doesn't exactly fit with Marvel's formula. So perhaps Feige wanted to see, both critically and financially, how well these films did, before announcing them to be apart of the MCU. 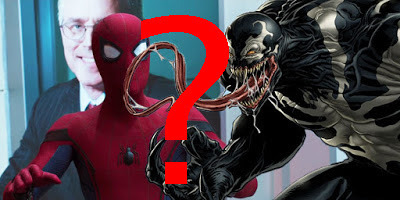 You could make Venom in a way that doesn't outright contradict anything in the MCU, and leaves it open to be connected later down the line. So maybe that was the consensus behind the scenes, and then Pascal made her comments, scaring Feige into denying it. Or it could be that there was never any plans to connect them. I think there's still a chance in the future, should the spin-offs be great successes, that they could be revealed to be connected to Tom Holland's Spider-Man and the MCU. They could handle it in a way similar to the Netflix series, where they're still in the same universe, but never really cross over. This allows for drastic tone changes, and even rating changes. I don't think we'll know officially what the plan is for another couple years, at least until after we see how well Venom does. But I think it would ultimately make the most sense, in the long run, to have the Sony spin-offs be connected to the MCU. What do you think? What are your thoughts on Amy Pascal, Kevin Feige, and Tom Holland's comments? Will the Sony spin-offs end up taking place in the Marvel Cinematic Universe, or will they be entirely separate? Leave your thoughts in the comments section below.